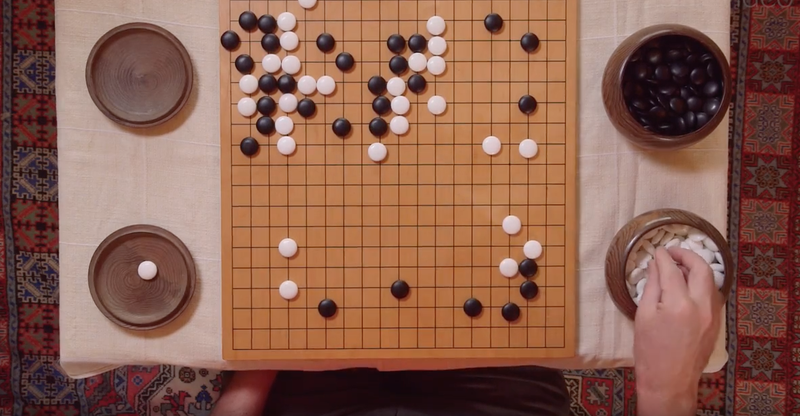 Artificial intelligence system defeats human champion in strategy game "Go"
The sharpest player of the classic strategy game "Go" isn't a human -- it's a super-smart computer. Researchers from the Google-owned company DeepMind have developed AlphaGo, an artificial intelligence system that has mastered the art of playing the ancient Chinese board game. The team published their findings of the computer's success in the journal Nature. Go is a complex game that involves quickly evaluating board positions and a vast array of potential moves. "Until recently the strongest computers were still playing Go at the level of human amateurs," the researchers wrote. How is it played? It involves two players alternating placing white and black pieces onto a square playing board with a grid on it -- similar to a checkers or a chess board, but with more spaces. The end goal is to fill more area on the grid than your opponent. The developers say the system that triumphed, called AlphaGo, succeeded where past computers failed because it uses "value networks" to evaluate board positions and "policy networks" to choose specific moves. AlphaGo "trained through a combination of supervised learning from human expert games and reinforcement learning from games it plays against itself, " a process that simulated complex human thought and decision-making, they explained in a press release. This kind of cognitive, human-level decision-making is "learned" from trial-and-error, as the computer plays against itself, getting better each time. In tests, AlphaGo had a 99.8 percent "win rate" against other computer programs, and ultimately, the artificial intelligence system defeated the top human European Go champion in a tournament. The final result: AlphaGo won five games against this intimidating human opponent, marking the first time that a computer program won against a professional player. Now, the researchers hope to test AlphaGo further. The computing system will play Lee Sedol, quite a celebrity in Go circles. Sedol is considered the top Go player globally over the past decade. This ultimate human versus machine matchup will be held in Seoul this March.